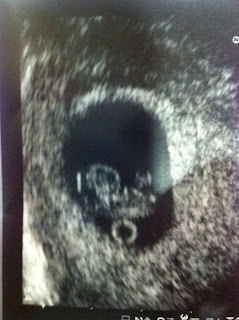 When we went into the munchkins room to tell them about this surprise, I was holding this ultrasound picture and Becca's response was "Can we eat it?" and when I asked Will what he thought this was a picture of, he responded by saying, "It doesn't look good." We are incredibly excited to expand our family and can't wait to have ANOTHER baby to love. so badly wish i was there for becca and wills response!! hilarious!! im so excited for baby number 4!!! P.S. Wish I was eating in the staff room with y'all. What can I say but "Congratulations"
Love your post! Just updated mine too! Miss you! Brookie! You are my favorite ranch mom, and I CANNOT BELIEVE you are going to have another precious baby! You know what I am praying for... PINK! Love you friend, and hope we can see you again this year in CO!